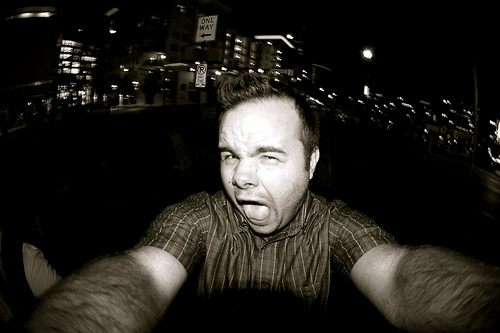 As a photo booth business you are always advertising when you are at an event. This is true from the appearance and branding of your booth to the professionalism of your attendant. But the best piece of marketing collateral you have on display is your prints. Yes the prints your booth is producing! Think about it, what will your guests look at after the event? Yes the print that they received from their visit in your photo booth. It is this very reason that providing custom layouts, matching themes and colors and of course having your logo somewhere on the print is very important and here's why. Providing custom layouts that match the events theme and colors helps set you apart from your competition. 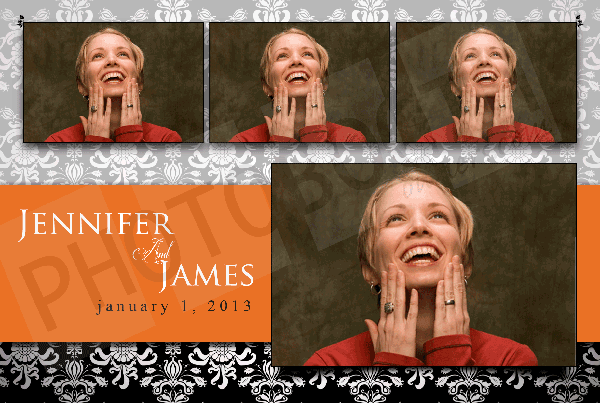 While everyone has been in a photo booth that produces the traditional 4-up photo strips with a white border not everyone has been in one that produces say a 4x6 that has an elegant design and colors that pull it all together. By doing this you have made the print into a keepsake and not just a photo from that wedding the guest went to. Instead it will remind them of that beautiful wedding where they had a great time getting into the fun photo booth that you provided. When these memories hit the guest they will be reminded that it was your service that provided that memory by the carefully place logo you put on the print. When you are choosing your photo booth software make sure you keep custom templates in mind as some software packages are easier to template than others. Breeze, Photoboof, Sparkbooth all provide relatively easy ways to create custom print templates and there are many individuals that provide design services. Our Design Shop has dozens of premium designs that can be purchased and customized for your event. is an excellent choice that provides low costs per print with a sharp high quality finish. 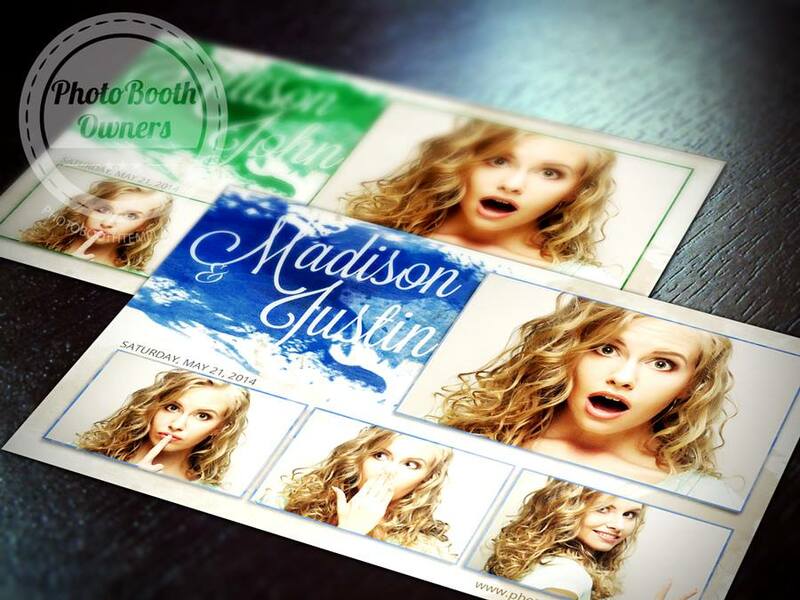 For information on selecting a printer I recommend that you read the article Top Professional Photo Booth Printers. Until next time keep the smile coming and get in the booth!